I leave for New Orleans on Friday (woohoo!) 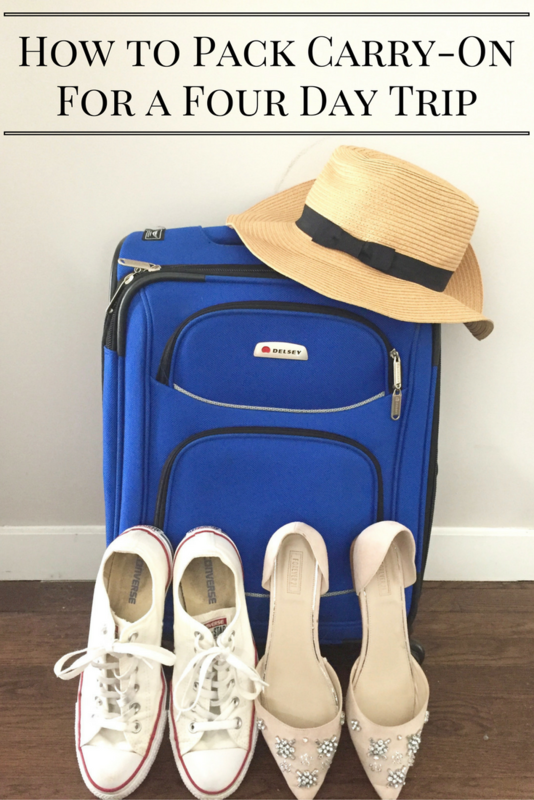 so today I wanted to share with you how I pack for a 4 day trip with only a carry-on. 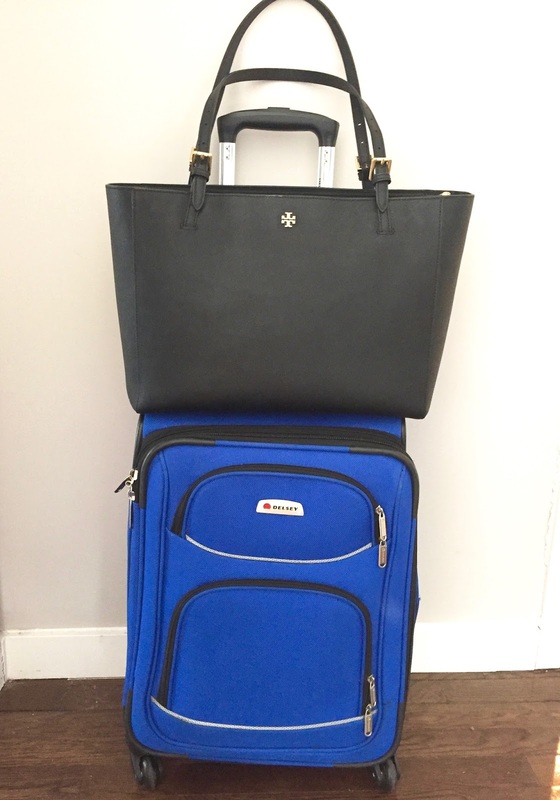 Traveling carry-on is no small feat – especially for a fashion blogger. haha. 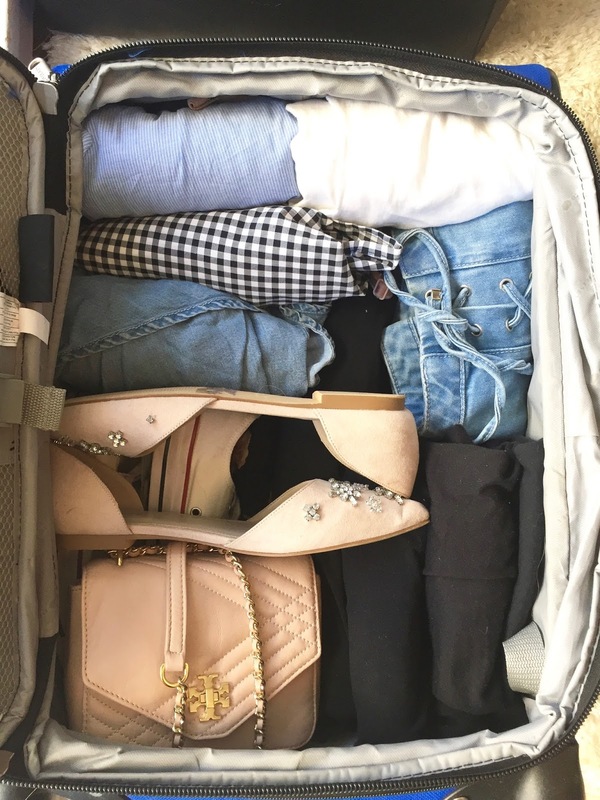 But; I have honed my packing skills over the years and today am sharing with you exactly what I packed for my 4 (actually almost 5) day trip in the hopes that it will help your own packing in the future! 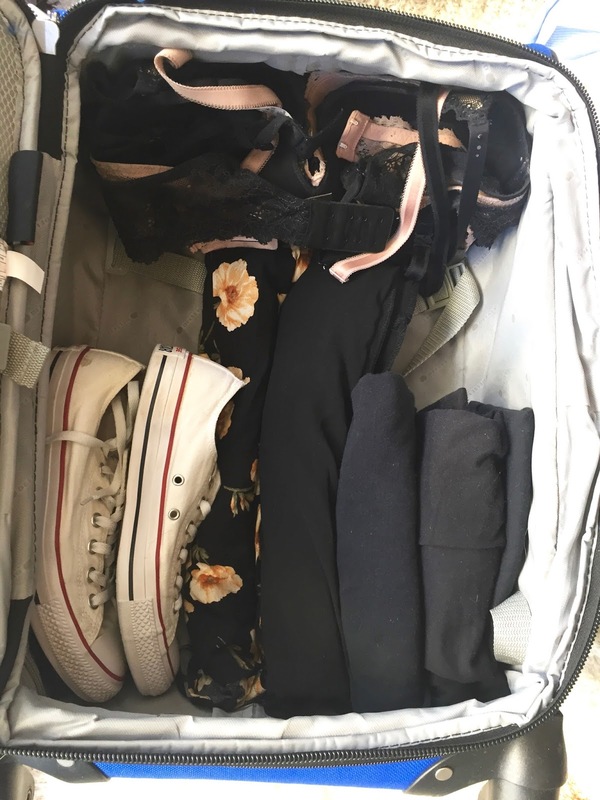 The first thing I do when preparing to pack a carry on for a trip is to select all of the clothes and shoes I would ideally bring. From here, I pick a wear-in-flight outfit based on items I know would be bulkier or harder to pack, while also keeping in mind the need to be comfortable in-flight. Since I’ve already got my giant pile of “clothes I would wear i had 5 giant suitcases.. or a pack mule” I then start narrowing down what outfits I actually need. Think about the types of things you’ll be doing – do you need a ‘night out’ outfit? Do you need a dressy outfit? etc. For this trip I packed two pair of shoes – the converse you can see in the above photo, and these embellished blush flats. In addition to the larger purse I’ll be carrying on the plane, I also packed my tory burch cross body for every day activities. I always recommend cross-body bags for travel / tourist-ing as you definitely want to be hands free! Tip: stuff a cotton tee or other small item into your cross body bag to make sure the bag doesn’t get crushed and loose its’ shape being stuffed in your carry-on bag. I pack makeup & toiletries last because you know you may have to remove these items when you go through security. Best to not have to dig through everything to do so! 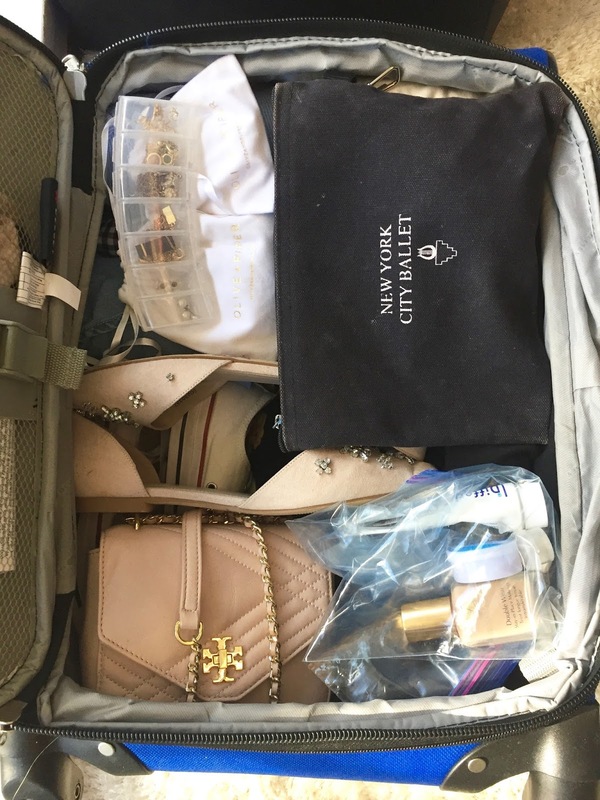 Tip: pack any liquid makeup and toiletries in a separate ziplock bag; again it makes it easier going through security and it gives you an extra bit of protection in case anything leaks. 4 days worth of stuff in one tiny carry-on! I also always bring my Tory Burch Tote as my purse when traveling on a plane because it is by far the roomiest handbag I have. In it I pack my laptop, at least 2 books, a notebook/pens, snacks, comfy socks and my phone charger. I have such a hard time with packing. These tips are so helpful! I think starting with planning your travel outfit is a great idea! Have a wonderful trip! Aw thank you! Im so glad you liked the tips! The trip was ah-mazing. Definitely a needed vacation!